The Global Affairs column is curated by Stratfor's board of contributors, a diverse group of thinkers whose expertise inspires rigorous and innovative thought. Their opinions are their own and serve to complement and even challenge our beliefs. We welcome that challenge, and we hope our readers do too. Last month, India's most populous state, Uttar Pradesh, voted the nation's ruling Bharatiya Janata Party (BJP) into power. The party then selected a deeply divisive figure from within its ranks to serve as Uttar Pradesh's chief: Yogi Adityanath, at best a Hindu fundamentalist and at worst a politician capable of splitting his state and country along religious lines. The appointment doesn't bode well for a nation with a long and bloody history of religious violence. But in some ways, it's also hardly surprising. *** Has AQAP Traded Terrorism for Protection? As I've often said before, some of the most interesting stories to come across my desk are those from abroad that the U.S. mainstream media has failed to pick up. A recent article by Norwegian news outlet Verdens Gang (VG) only reminded me of that fact when it reported it had been in contact with an unidentified member of al Qaeda in the Arabian Peninsula (AQAP). The piece, written by Erlend Ofte Arntsen, raised some interesting points — not least of which was the suggestion that the Yemeni al Qaeda franchise has set aside its mission of conducting attacks in the West. In 2010, then-Deputy Secretary of Defense William J. Lynn III made a pivotal decision for the future of cyberspace and the U.S. military: He saw to it that the U.S. Department of Defense declared cyberspace a “domain” of warfare. This decision created the organizational impetus for the DoD to organize and equip forces to defend and attack from cyberspace. Lynn anticipated that the future of warfare would be determined by competitions for information and that without the ability to organize for missions in cyberspace, the DoD would be unable to ensure the digital freedom it needed to win modern wars. Since that time, the DoD has not only developed an overarching Cyber Strategy and stood up an entire Cyber Command with more than 6,000 personnel, and has also brought to initial operating capability 133 teams for its Cyber Mission Force. Under the auspices of the cyberspace domain, the DoD has made huge strides to defeat and deter adversaries in cyberspace. On Friday, the Indian Navy successfully carried out the first-ever test of a supersonic land-attack cruise missile (LACM). A “land attack version of BrahMos supersonic cruise missile was fired for the first time from an Indian Navy’s stealth frigate, off the eastern coast, at a land target,” an unnamed Indian Ministry of Defense source noted. To date, the only variants of the BrahMos tested by the Indian Navy were the anti-ship variants. The Indian Navy released a video of the launch that shows the missile’s successful vertical launch ejection from the INS Teg, a Talwar-class stealth frigate, successful directional engine engagement, and, ultimately, successful boost and horizontal flight. “The land-attack variant of BrahMos provides Indian warships the capability to precisely neutralize selected targets deep inland, far away from the coast, from stand-off ranges at sea,” an Indian Navy source told the Times of India. “The maiden firing significantly enhances the Navy’s prowess and places India in the club of a select few nations to have this capability. Majority of our frontline warships, like the Kolkata-class of destroyers and Teg-class of stealth frigates, are capable of firing this missile,” he added. NAIROBI — After being all but stamped out by international naval forces following its late-2000s heyday, piracy has made a sudden return to the Horn of Africa. In the past month, there have been six suspected piracy incidents near Somalia, five of them successful, including three in the last week. That’s compared with zero successful attacks in 2016. Three more murky maritime incidents off the coast of Somalia’s Galmudug state, where suspected illegal fishing vessels paid “fines” that may in fact have been ransoms, suggest that piracy has rebounded on a scale even larger than previously reported. The spike in banditry on the high seas off the Horn is a blow to the decades-long battle to stem piracy there, and bad news for the international shipping industry, which transports $700 billion worth of cargo through the dangerous corridor each year. It’s also a stark reminder that one of the main drivers of piracy, rampant illegal fishing that depletes local fish stocks and drives some fishermen to take up arms, remains as big a problem as ever. The panel observed that litigation is pending before various benches of the Armed Forces Tribunal related to the non-grant of promotion/pay benefits to senior officers of the Army due to lack of residual service as per rules in vogue. A panel on military reforms has recommended to the Ministry of Defence (MoD) to review the current policy of appointing Army Commanders (GOC-in-C) and Corps Commanders on the basis of their ‘residual service’ in the Army which depends more upon the matter of chance and “fortuitous condition of the date of birth” instead of merit and capability. The panel has asked the government to consider the feasibility of examining the issue in depth where a deserving officer misses the chance to command a Corps or an become the GOC-in-C of a command just because he falls short of the number of years of service that is left with him before retirement. Is It Time for America and Afghanistan to Part Ways? It is unlikely that Trump will withdraw troops from Afghanistan, but he should reevaluate America's role in the country. The war in Afghanistan has been going on for such a long period of time that it’s almost become a ritual for a new administration to take a bottom-up, comprehensive look at America’s war strategy during its first two months on the job. The movie has been repetitively played over the last decade and a half: the generals running the war are ordered by the new president and his national security adviser to assess whether the plan is working; the generals conduct the review, which usually concludes with the commanders requesting more U.S. troops on the ground; and the administration (with varying degrees of resistance) eventually provides the commanders the authority and resources that they have forwarded to the White House. President Obama was a bit of anomaly in this regard. He did, after all, set a timeline for troop withdrawals that the Pentagon wasn’t especially pleased about. But even Obama authorized nearly fifty thousand additional American troops into the conflict during his first year in office. This report offers a comprehensive look at the capital city of Kabul and its unique role in Afghanistan’s transition away from more than a decade of foreign occupation and violence. Social tensions are simmering just under the surface in the capital, even more so than in other Afghan cities, and have the potential to foment serious unrest. Yet, if there is a place in the country that offers the potential for mobilization, technical and intellectual capacity, communication, and acceptance by the rest of the country, it is Kabul. Afghanistan’s capital city is a natural focal point for the country’s transition away from more than a decade of foreign occupation. Kabul’s economy is foundering. Developing new policies to stimulate investment and reorient production and trade on a more sustainable basis is critical. Economic competition over scanty resources has the potential to foment serious unrest in a city already simmering with tensions. Better urban planning and management would help allay tensions. Distribution of public services has conspicuous room for improvement. Receipt depends on location but is uncertain: poor households receive the least, health care is inferior, electricity is unreliable, waste collection is a shambles, and water is available but controlled by private parties. Escalating tension between the United States and North Korea has prompted fevered public focus on the possibility of war — even nuclear war — on the Korean Peninsula. The risk is real, and observers are right to emphasize it. Amid the debate, however, another potential scenario remains underexplored: That American use of military force against North Korea might not change much at all. This troubling possibility is not as unlikely as it may seem and would damage U.S. influence in East Asia and around the world. Washington would find itself back where it started, but with a less credible military threat to drive North Korea and other rogue states to the negotiating table. Washington’s recent posturing aims to force North Korean leader Kim Jong-un to decide once and for all whether his nuclear and missile programs are worth the mounting cost. It attempts to present Kim with a binary — almost apocalyptic — choice: back down immediately and engage with the United States on Washington’s terms, or risk an all-out war that brings down his regime. The People’s Liberation Army Navy’s (PLAN) recently participated in an operation to free the Tuvalu-flagged OS 35 bulk carrier with help from the Indian Navy in the Gulf of Aden (The Hindu, April 9). The People’s Liberation Army Navy (PLAN) 24th task force in the Gulf of Aden anti-piracy operation returned in March to its homeport of Qingdao following port calls in four Persian Gulf states (Chinamil.com, March 9, 2017). Since 2008, China has significantly increased its naval presence in the Indian Ocean, giving rise to Indian concerns of potential military encirclement and raising questions in American strategic thinking about China’s ultimate objectives. Both the United States and India maintain a much stronger naval presence than China in the Indian Ocean, but the balance is beginning to shift. Chinese President Xi Jinping introduced in 2013 the strategic “One Belt, One Road” and “21st Century Maritime Silk Road” that stretches from the South China Sea across the Indian Ocean to the eastern Mediterranean. This initiative guarantees China will increase its economic and military engagement along Indian Ocean maritime routes. The PLAN’s continuing participation in the anti-piracy operation long after most pirate attacks had ended and the construction of a military base at Djibouti are tangible indications of China’s power projection. If Japan wanted to develop nuclear weapons, there would be no better moment than now to start. As the North Korean regime grows desperate to get a more generous ransom against its nuclear program, the threat it poses to Tokyo is multiplying. Last week Shinzo Abe, the Japanese prime minister, warned that North Korea is preparing the capability to launch missiles carrying the chemical weapon sarin against Tokyo. U.S. President Donald Trump further added to the turmoil by declaring last week that an “armada” of American military vessels was heading to the Korean peninsula, only to be contradicted by his own military, which broke the news days later that the “armada” was sailing near Singapore, over 3,000 miles away from the Korean peninsula. At the time Trump boasted of the “armada,” it reportedly was travelling in the opposite direction. So much for the credibility of the American extended deterrence, which should guarantee the security umbrella over Japan, a policy in force since 1975. Now, both South Korea and Japan feel cheated and let down, while the U.S. administration was caught red-handed in a bluff. A truly embarrassing situation, indeed. ISTANBUL — The world seems awash in chaos and uncertainty, perhaps more so than at any point since the end of the Cold War. Authoritarian-leaning leaders are on the rise, and liberal democracy itself seems under siege. The post-World War II order is fraying as fighting spills across borders and international institutions — built, at least in theory, to act as brakes on wanton slaughter — fail to provide solutions. Populist movements on both sides of the Atlantic are not just riding anti-establishment anger, but stoking fears of a religious “other,” this time Muslims. Now in its seventh year, this war allowed to rage for so long, killing 400,000 Syrians and plunging millions more into misery, has sent shock waves around the world. 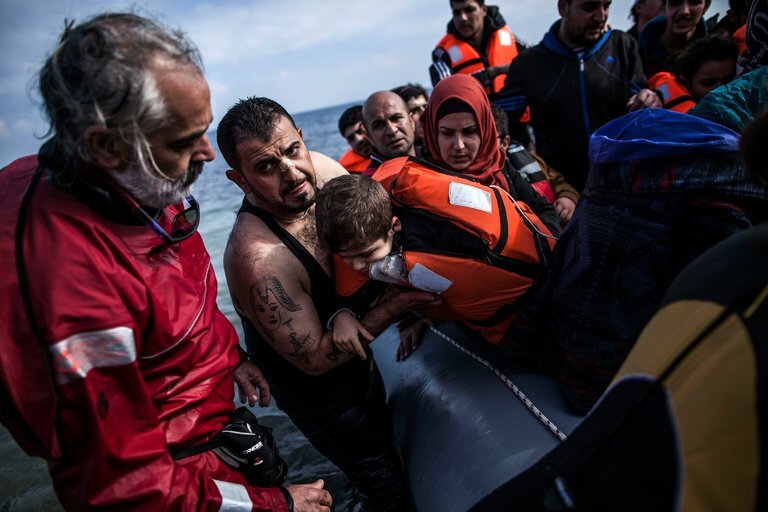 Millions have fled to neighboring countries, some pushing on to Europe. Volume 9, Issue 04 (April 2017): ‘Countering Jihadist Ideology: The Crucial Battlefront’ The Islamic State (IS) terrorist group faces setbacks on several fronts as it continues to come under heavy pressure from the US-led coalition forces, the Russians and Syrians. On the military front in Iraq, it is slowly losing western Mosul while in Syria, its de facto capital Raqqa is being surrounded for the inevitable showdown. On the propaganda front, it is experiencing a decline in the output and quality of its media products, such as videos and publications. It fares no better on the religious front where it remains marginalised within the Islamic world and faces continuous denunciations from mainstream religious leaders for its exploitation and misrepresentation of Islam. It has failed to gain legitimacy and has in fact been branded as un-Islamic, deviant, even heretical. As IS loses its lustre and appeal with the loss of territories and impending collapse of its so-called caliphate, counter-ideology efforts should be intensified to further delegitimise IS’ theology of violence and debunk its misinterpretations of religious texts. IS’ hard-core ideology encompassing violent jihad, suicide bombing, takfirism (excommunication) and hijrah (migration), among others, have to be exposed as unquestionably flawed, transgressing Islamic legal principles and juristic process and methodology. 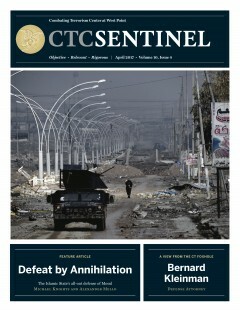 This issue of CTTA features a critical examination of one of the principal tenets of IS’ jihadist ideology – takfirism – by Dr Muhammad Haniff Hassan. His article contrasts IS takfiri doctrine with mainstream Sunni position on the subject, exposing IS’ deceptions and deviations from true Islamic teachings. Special operations forces and their capabilities could provide a boost in an expanding global competition between the United States and nations such as Russia and China, according to a recent report. Seeing situations play out, such as China's militarization of the South China Sea or Russia's 2014 annexation of the Ukrainian peninsula of Crimea, has sparked a "vigorous conversation inside the SOF community" about how they can contribute to those types of national challenges, said Jonathan Schroden, director of the special operations program at CNA, an Arlington, Virginia-based think tank. "They see that as, one, important to the nation … but they also see this special capability that they have and how that could be useful," he said. "They're frustrated … that SOF has been sort of pigeon-holed into the counterterrorism role, and primarily viewed as a capability to address counterterrorism issues that the nation faces, as opposed to having a broader view that SOF can and should also be playing a role in the nation's efforts to try and counter state actors." 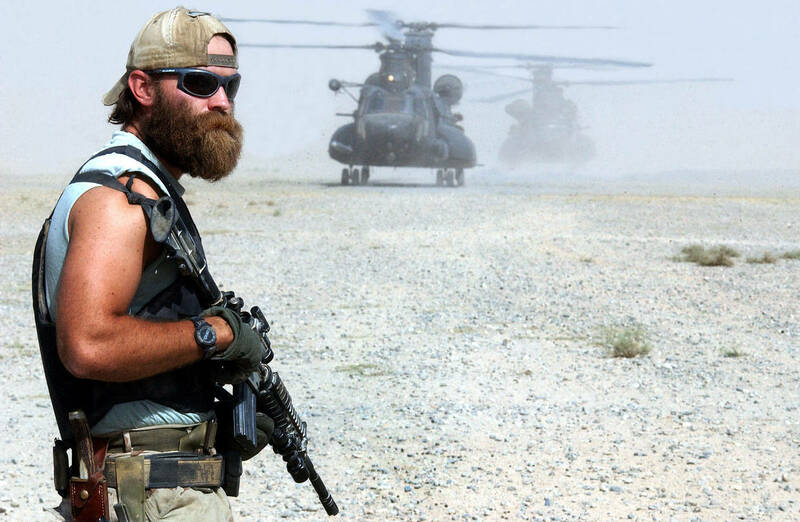 The CNA report, entitled "The Role of Special Operations Forces in Global Competition," which was produced in less than nine months, was motivated by a number of conversations with special operators over several years, he added. In May 1980, British television was interrupted by a live broadcast of balaclava-clad Special Air Service men storming the Iranian Embassy in London to rescue hostages taken by an Iranian separatist group. Such operations were not perhaps a surprise for the baby-boomer generation. After all, we had been brought up with celluloid heroics in which Dirk Bogarde —it was nearly always Dirk Bogarde—snatched German generals from Crete or raided Rommel’s supply lines in North Africa. But for younger generations of Britons, the embassy raid had an enormous impact, spawning a new fascination with special-operations forces. Their growing mystique has led to a stream of often lamentable books with “SAS” on the cover as well as, more seriously, a misleading confidence in their superiority to conventional forces for many missions. As Mark Moyar’s “Oppose Any Foe: The Rise of America’s Special Operations Forces” demonstrates, there has been a similar trend in the U.S. The various American special forces, which date from the formation of the Army First Ranger Battalion in 1942, now number 70,000 members. They have moved from being a secondary weapon to a primary weapon. Gen. Peter Schoomaker became the first special-forces officer to be Army chief of staff in 2003, and Gen. Stanley McChrystal the first special-forces officer to be given direction of an entire campaign—in Afghanistan—in 2009.
explicitly linked to the country from which it derives its power. In the case of Russia, the hybrid warfare model seeks to operate along a spectrum of conflict that has covert action and overt combat as its bookends, with partisan warfare as the glue that binds the two ends together. This model seeks to capitalize on the weaknesses associated with nascent technology and therefore acts aggressively in new domains of war—such as cyber—while continuing to find innovative ways to conduct effective information warfare. However, what is often lost in the discussion of the technological innovation of Russian hybrid warfare is that a conventional line of effort resides just below the surface. The Donbas campaign of the Russo–Ukrainian War (2014–present) highlights this idea. The Donbas campaign showcases innovations in Russian land warfare through the actions of Russian land forces—working in conjunction with separatist land forces—throughout the campaign. Most notably, these innovations include the development of the battalion tactical group (BTG)—a formation that possesses the firepower to punch at the operational level of war—coupled with a reconnaissance-strike model not seen on contemporary battlefields. Furthermore, the BTG and reconnaissance-strike model work in tandem to create siege warfare opportunities for the Russian and separatist forces, allowing them to generate high levels of destruction while operating beneath the notice of the international community. In our April cover article, Michael Knights and Alexander Mello examine the Islamic State’s ongoing defense of Mosul. Despite the group’s use of innovative and lethal tactics such as pairing car bombs and drones, it has been outfought by coalition-backed Iraqi forces, which liberated eastern Mosul in January. With Islamic State fighters now engaged in a final fight on the western side of the Tigris, the authors describe how the group continues to prioritize mobile defensive tactics to seize the initiative and mount counterattacks. Our interview is with Bernard Kleinman, an American defense attorney who has been on the defense teams of several high-profile individuals in terrorism cases, including Ramzi Yousef, Khalid Sheikh Mohammed, Abu Anas al-Libi, and alleged USS Cole mastermind Abd al-Rahim al-Nashiri. Mirroring the global rift between al-Qa`ida and the Islamic State, Kleinman reveals that almost all the prominent alleged al-Qa`ida figures in U.S. custody he has had conversations with since 2014 are disturbed by the actions of the Islamic State, which they view as corrupting Islam and illegitimately targeting Shi`a for death. Kleinman reveals his client Ramzi Yousef, who is being held in the “Supermax” facility in Florence, Colorado, recently finished writing a 250-page treatise theologically repudiating the Islamic State. Kleinman also weighs in on the Guantanamo Bay military tribunal process and the relationship between Iran and al-Qa`ida, which his clients have described as being driven by a “my enemy’s enemy is my ally” logic. The two separate worlds of electronic warfare and cybersecurity are beginning to overlap, if not collide. In the U.S. military, electronic warfare and cyber capabilities live in different military domains, delivered by operators who exist in different military units and who largely grew up in different career fields. The National Security Agency and the uniformed services have rushed headlong to demonstrate leadership in the cyber domain. But they have exerted less energy trying to determine how to use these capabilities in a coordinated way in the highly contested electronic battlefields of the future. This can’t go on. We need a “sea change” strategy pivot to better prepare for more sophisticated threats that are further along combining their electronic warfare and cyber assets. Some background: In the 1990’s, electronic warfare became less cool. Gone from the Air Force fleet were aircraft such as the F-4G and EF-111, two Cold War platforms 100 percent dedicated to jamming or destroying adversary radars. The Air Force Electronic Warfare Center (AFEWC) became the Air Force Information Warfare Center (AFIWC). Blockchain technology has been heralded by many as the next big thing. The potential use of blockchains has attracted widespread attention from the media, the IMF, the UN, and the UK Government’s Chief Scientific Advisor. Some argue that within 20 years, blockchain will disrupt society more profoundly than the internet has disrupted communication and media. With the reported potential to replace powerful financial institutions with a new form of cheap and secure banking globally, could it also transform development? It has the potential to offer new ways to track aid and tackle corruption, facilitate smart-aid contracts and cut costs for international payments, but experience suggests it is through adding value to existing development processes that it could have the most benefit.